Thank You to Macedon Garden Club! While the last snowflakes of winter continued to sugar our lawns in April, the members of Macedon Garden Club were dreaming of the blossoms of summer. The members of the club worked to put together lovely gardening kits targeted at children and donated them to the Macedon Public Library. Each kit comes self-contained in a zippered bag. 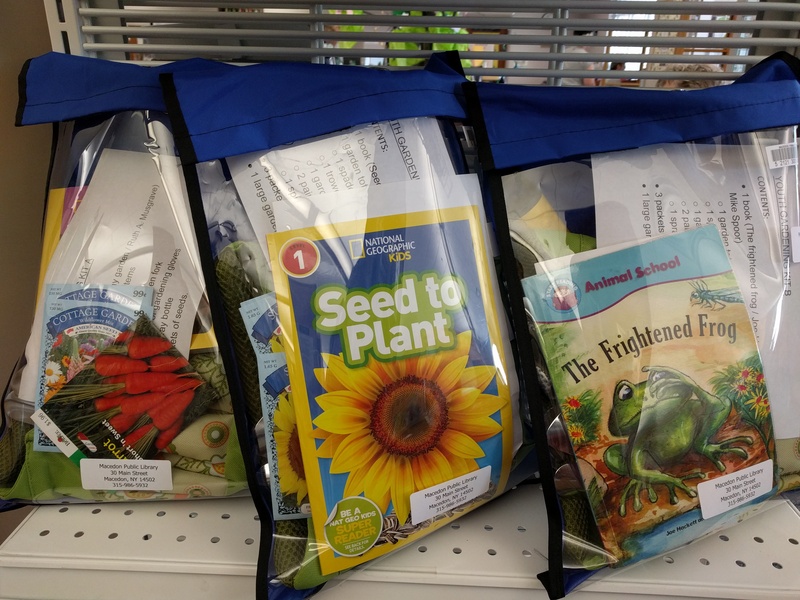 Inside each, there are three packets of seeds, gardening tools, a gardening tote bag and a garden-themed book. The thought put into each bag is very evident, and we are sure children and parents are going to enjoy planting seeds this summer. The Macedon Public Library Board of Trustees and library staff sincerely thanks all the members of the Macedon Garden Club for their kindness, generosity and time spent creating these for our youngest patrons. We invite you to stop by the library with your children and check out one of these new kits.